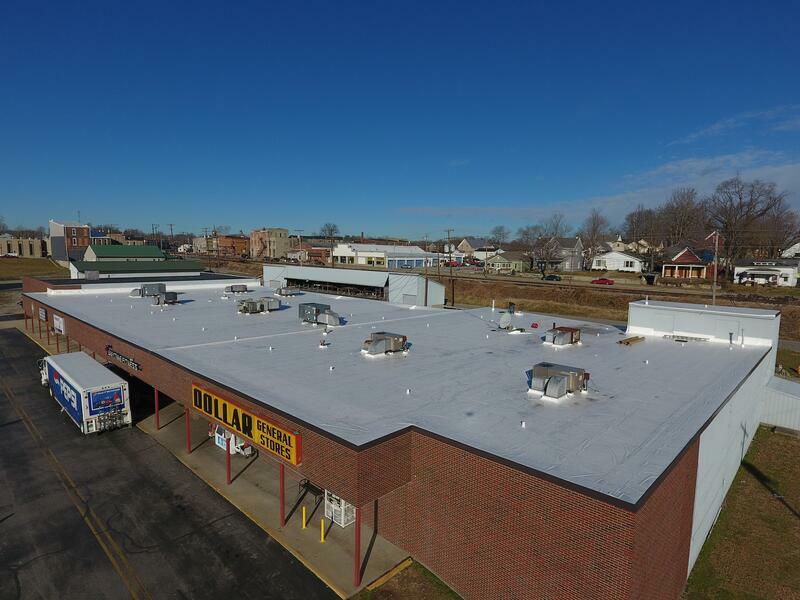 The Dollar General, Anytime Fitness and the BMV Branch of North Vernon, Indiana are all located in the shopping plaza on Buckeye street. The 30,000 sq. ft. Building had an asphalt flat roof that was 25+ years old and had begun to leak. The facility manager became increasingly more frustrated as leaks persisted, despite the repairs and patches made. 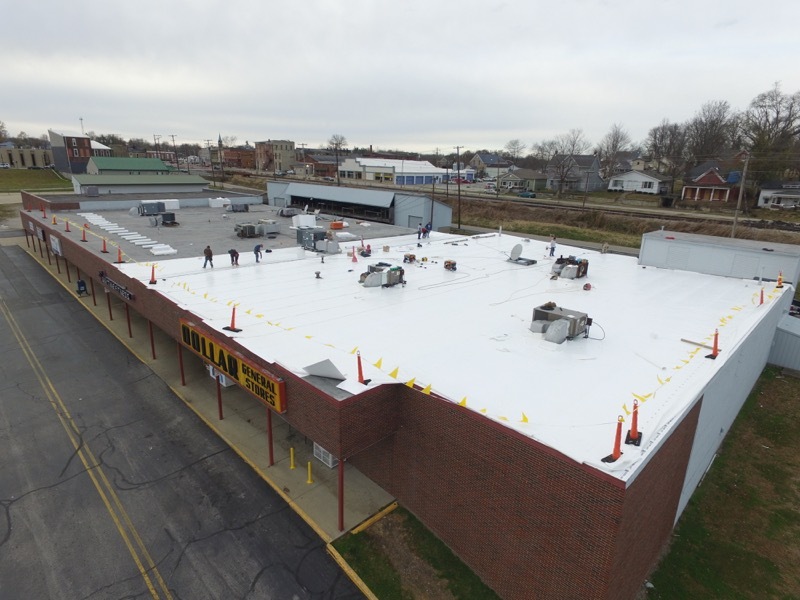 He knew that a lasting flat roof repair job was needed. He reached out to Exterior Pro for advice and help. The building was a fantastic candidate for a flat roof recover project. 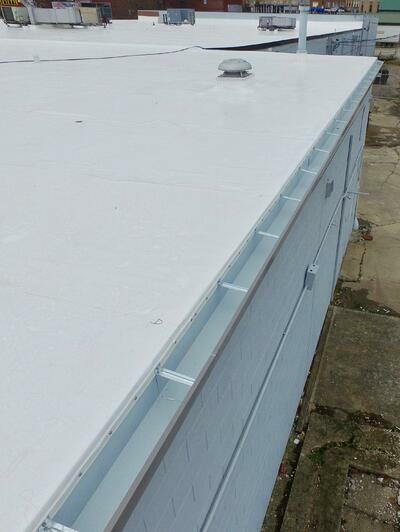 The existing roofing was not totally saturated and the gypsum roof decking was still in great shape. Exterior Pro recommended a 20 year PVC roof recover membrane. 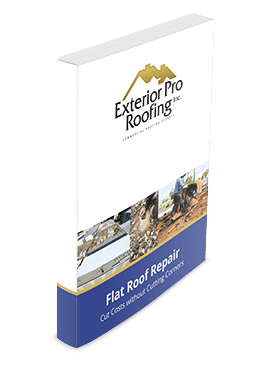 The flat roof recover would be the longest repair option at the lowest installed cost, especially compared to doing a full tear off. The flat roof recover would also mean very little disruption to offices and stores below. The job took a little over a week to complete. 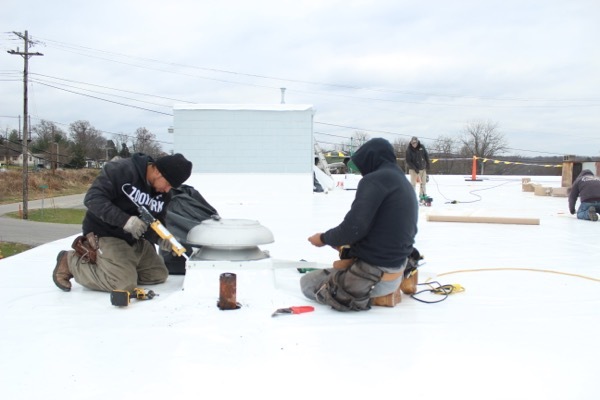 Each day, the crew would tackle a section of roofing and making sure it was water tight before they quit for the day. 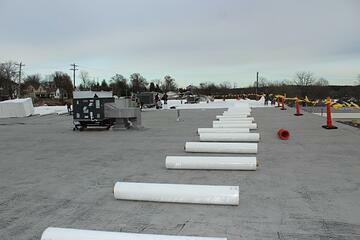 After several days of covering large sections of the flat roof, the entire 30,000 sq. ft had been recovered. 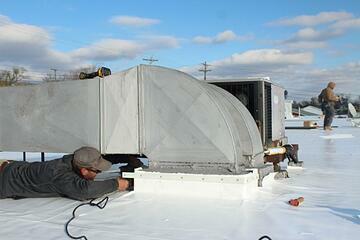 Now, it was time for the detail work around the HVAC units. 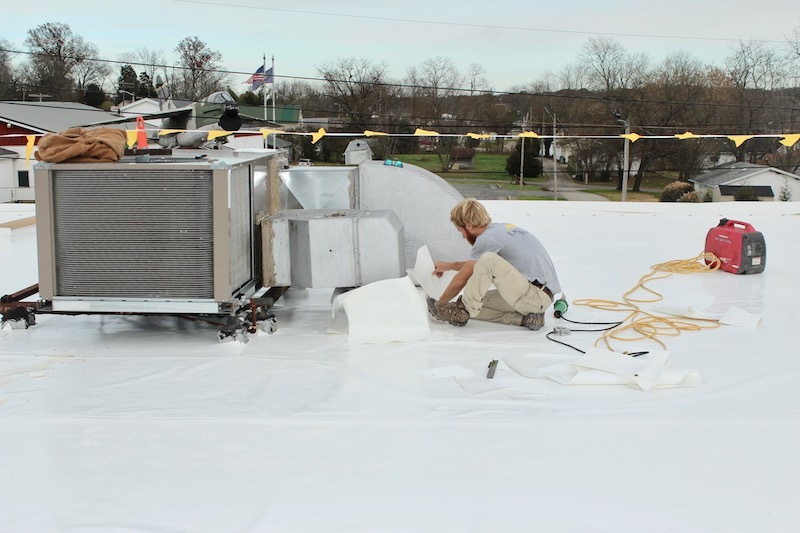 HVAC units are known areas of concern for leaks on flat roofs and this plaza was no exception. The building had a total of 56 pitch pans that needed to be flashed and filled with pitch pan filler, requiring several more days of detail work. 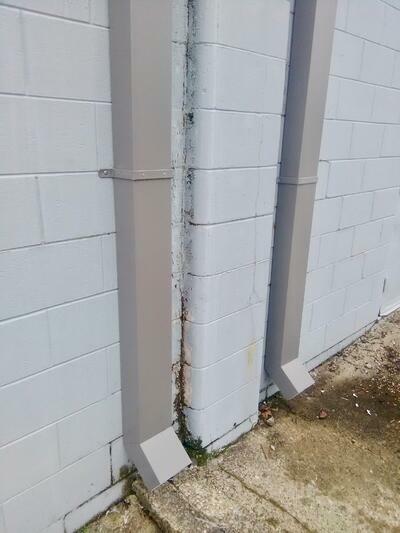 Finally, Exterior Pro fabricated commercial gutters for the building and hung them in the back. The new 7” box style gutter and 4 x 6 metal down spouts can handle even the heaviest of Southern Indiana gully washers.